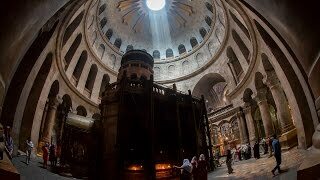 Our recent pilgrimage to the Holy Land offered the chance to visit the ancient sites where key events in our faith story took place, and meet people living there today who are making sure those sites do not become museums. 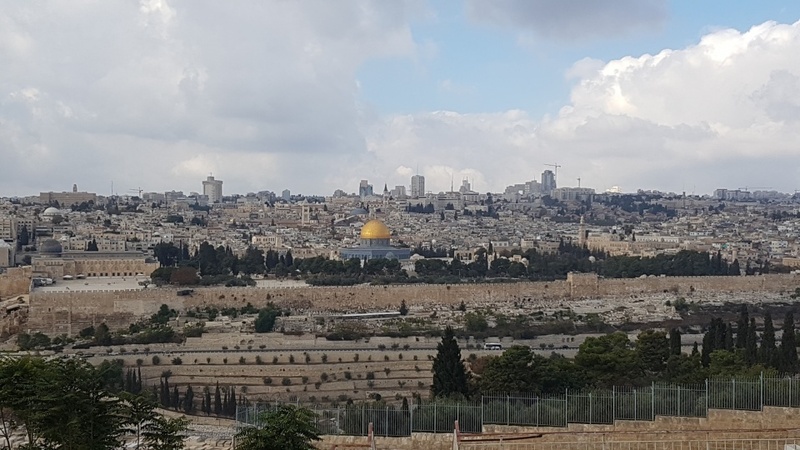 Visiting Qubeibeh, the West Bank, we met the Salvatorian sister who helped found the Qubeibeh satellite campus for Bethlehem University’s Faculty of Nursing. The faculty exists because Sr. Hildegard Enzenhofer, the superior of the Salvatorian sisters home in Qubeibeh, realized that the best way to help all the people of the village was to give them education. Yet the sisters work to help empower the people of Qubeibeh is not limited to either the home for elderly and disabled women they run, or the nursing faculty they helped launch. The sisters also run a cooperative for local women. Learning a craft and selling their wares helps local women be self-reliant but most importantly gives them a sense of purpose and worth in a village where there is not always a lot for a woman to aspire to. 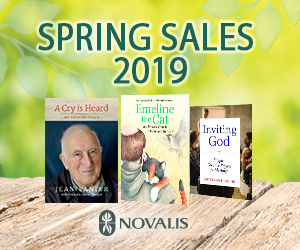 (Talking to our group in the cooperative’s gift store, Sr. Hildegard told us of more than one young nursing student who had to convince her father to allow her to study nursing instead of marrying the man her father had chosen for her). The products on sale in the cooperative’s shop are a mix of the predictable, the unique and the breathtaking. In one of the the shop’s two rooms the olive wood carvings and ornaments that are a staple in local souvenir shops are displayed along with a mix of products from the sister’s own land. Olive oil soaps fill display baskets and bottles of the purest, greenest, most fragrant olive oil this side of the mediterranean are on offer. Five euros buys a half litre plastic bottle of the liquid gold that travels easily and, though it doesn’t have any labels or endorsements, is probably the best example of a fair trade product one will ever find. A second room shows off a selection of hand embroidered items: everything from coin purses, to ipad covers and table linens adorn the walls of the shop. The colours are fantastic, the prices are a little higher than the average souvenir shop, but well worth the meticulous, hand-crafted quality. Sr. Hildegard is nothing if not practical. She understood quickly the cooperative’s success depended on incoming visitors. She used her connections with the Austrian Embassy to have the cooperative’s products sent to Austria so they could be sold by the sisters in that country. But for the cooperative to really work, people needed to be able to see the village for themselves; see the hillsides, feel the remoteness of the land. One thing stood in her way - the separation wall and its checkpoint. The checkpoint closest to the sister’s home is not one generally open to tour buses. Sr. Hildegard worked up the courage to ask how she might go about getting permission have tour buses with pilgrims through that checkpoint. (The alternative is checkpoint in Ramallah and a long, winding drive on mountain roads). She eventually got permission to approach the appropriate military authority to make her request. 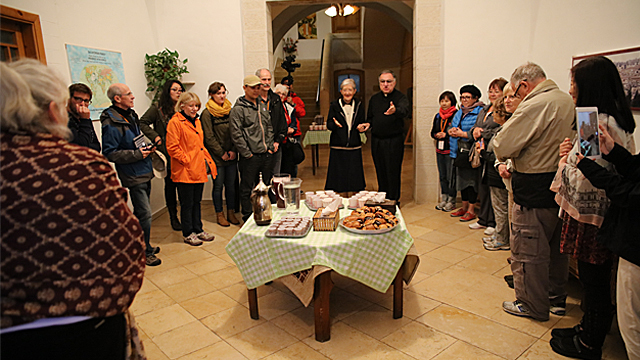 “Everything in life is about relationships, so before I went, I made an Austrian cake and took it with me,” Sr. Hildegard recalls. Cake in hand, she gently pursued her goal of winning the trust of Israeli officials and getting permission for pilgrim tour buses to come through the checkpoint nearest Qubeibeh. “Many cakes and cups of coffee later, I was given permission to have one bus come through that checkpoint to visit us,” she says smiling. She was given a fax number to which she was to send a list including the full names and passport details of every person who would be on that bus. She made up the list and went to her fax machine to send off the required document, “but a voice came over the line saying something strange. It said I was not allowed to call that number from my current location,” she recalls. Undeterred, Sr. Hildegard travelled into Jerusalem to use a friend’s fax machine. (Being a foreigner Sr. Hildegard does not need special permission to cross into Jerusalem). Although it was more complicated than she originally envisioned, she had the permission she sought. 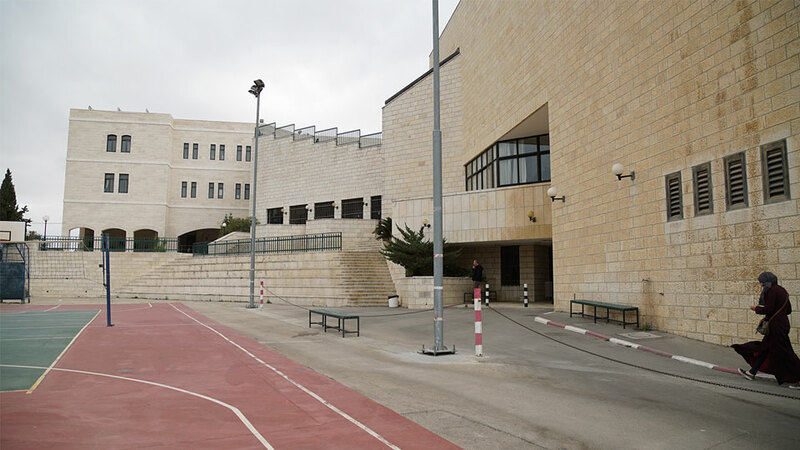 Every time a group wanted to come visit the sisters she would go through the same routine: ask for permission, make up the list with the visitor’s personal details, travel into Jerusalem, use a friend’s fax machine, travel back to Qubeibeh. Time passed, many more Austrian cakes were baked and cups of coffee were shared. 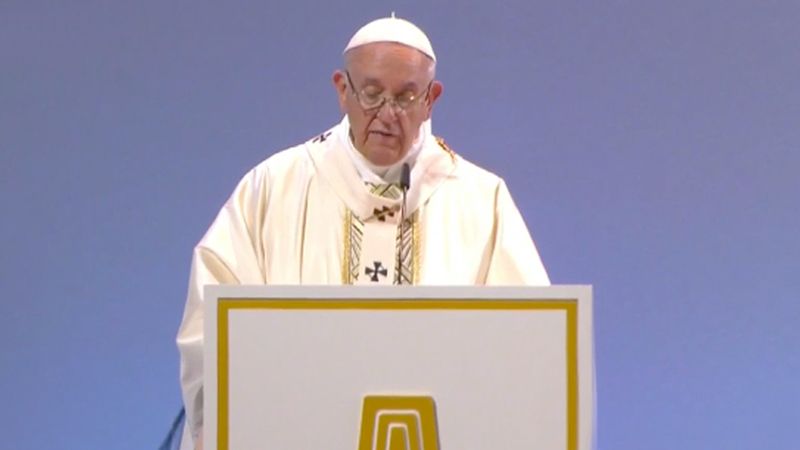 Finally Sr. Hildegard told her Israeli contacts “most of life is done by e-mail now. Is there some way I could do this by e-mail too?” They agreed and provided her with an email address to which she should send the information the required in order for her visitors to pass through the checkpoint. They send her an email with a form with she could fill out, “but nothing in life is ever so easy” she says. When she tried to download the form and print it in order to fill it out, it printed as a blank page. Undeterred, she adapted to the situation “I just filled it out online and e-mailed it back without downloading” she said. 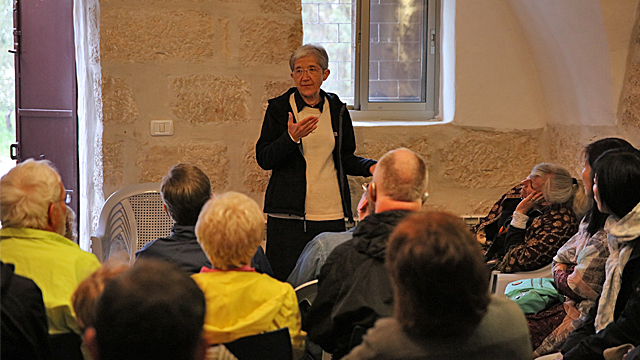 Today Sr. Hildegard is able to ensure that visitors come to Qubeibeh to see the village from the sister’s hilltop location, and visit the gift shop that helps support the women of this enclosed village. Her many cakes and cups of coffee shared with the people who control movement through the checkpoints ensure that the women of Qubeibeh have hope for their future.